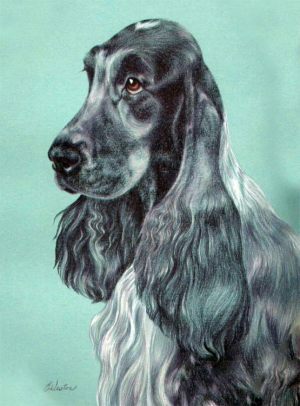 Born in our very first English Cocker litter we could never have imagined how much Muffitt would contribute through her sons and daughters to the English Cocker Spaniel. 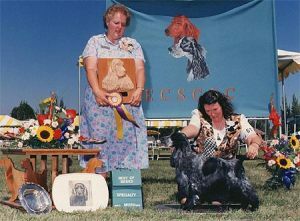 A multiple Specialty winner herself her sons and daughters were also National Specialty, Specialty, Group and Best in Sweepstakes winners. We all know though that winning is fun, but to also contribute to your breed with top producers is something we would all hope for. 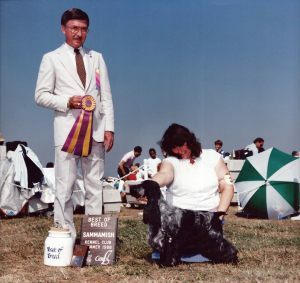 Muffitt can be found in many of the top producing and winning dogs of today. We are forever grateful to Jodelle Burke “Wyncastle” and Joan Moricca Nygaard “Glenwood” for trusting this newbie with our wonderful foundation. We could not have had a better start.